Been a while since we saw a big roadmapped leaked out from Verizon, but today, our friends over at Phandroid appear to have the latest which details more phones than I think any of us can even comprehend at this point. Over the next 2 months, we are expecting to see at least 7 above average Android handsets (some DROID, some not) that will easily keep Verizon on top of the game throughout the rest of the year and this is only one half of it. Samsung DROID CHARGE: April 7 (next Thursday) – The 1GHz 4G LTE device we saw at CES, but for some reason still lacked a name. We broke the news on it being called the DROID CHARGE over a week ago, and truthfully, are surprised this phone received the “DROID” tag. 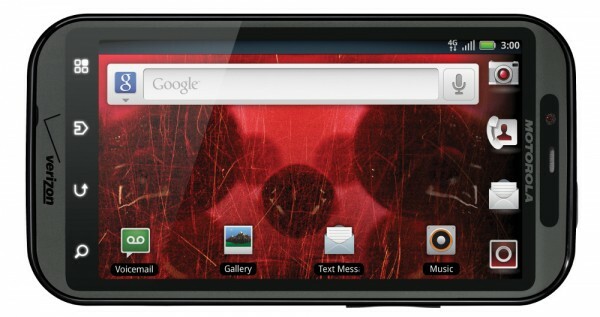 Sony Xperia PLAY: April 14 – The “Playstation” phone that will launch with what we’re hearing is stock Android 2.3 (Gingerbread). HTC Incredible 2: April 28 – It’s just the Incredible S from Europe, but that doesn’t mean it won’t be awesome. A bunch of pictures and system images have leaked out already, leaving almost no surprises for us come the 28th. LG Revolution: May 5 – Another of the 4G LTE phones that debuted at CES. It does have one potential trick up its sleeve though; the first Android phone to ship with Netflix support. Guess we’ll know in a month? DROID BIONIC: Some time in May – Ahhh, the phone that people have been waiting so long for. I guess those April rumors that we ignored weren’t so credible? We’ve been hearing May/June since the beginning and this may have just confirmed that. DROID X2: Some time in May – While we were huge fans of the first DROID X, this phone looks like it may be one giant bust. A tiny processor upgrade, more RAM, and a slightly nicer screen isn’t going to bring out the crowds like the original. Possibly 4G? Samsung Galaxy S2: Some time in May – Should be a beast of a phone, but Fascinate owners will tell you to run screaming from it. Possibly 4G?